Amber is the fossilised, hardened resin of trees, ranging in age from less than a million to more than 300 million years old. Tree resin, initially a sticky semi-liquid, first hardens by losing volatile components, which evaporate into the air over periods from a few days to a few years. This is followed by a second stage of hardening in which the resin molecules polymerise (link with each other to form larger molecules), a process which can take anywhere from several tens of thousands of years to millions of years. After polymerisation the amber becomes insoluble (or much less soluble) in organic solvents like acetone, toluene, alcohol, or gasoline. 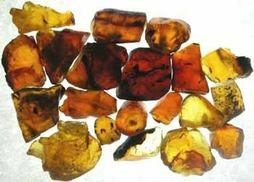 ​Young tree resins (sometimes known as "copal") are often misleadingly marketed as "amber", or euphemistically as "young amber", but the term Amber should properly be limited to the ancient polymerised resins that do not become sticky again when a drop of organic solvent is applied. Amber can be found in ​all the Baltic countries; Venezuela; Russia; Romania; Burma; in coal seams in Wyoming, USA and the Dominican Republic. Amber is a beautiful stone that is cut and polished and used as a valuable gemstone. It is very light in weight which allows it to be used in a large jewelry piece without discomfort. 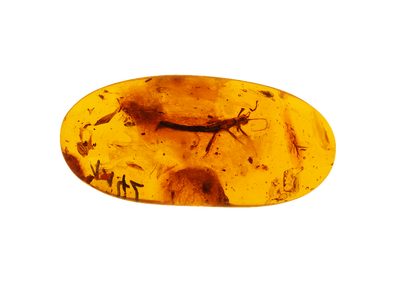 Amber, or fossil tree sap, has been known since antiquity. A fossil itself, it can contain many preserved insects and other animals and plants that are tens of millions of years old. The odd inclusions that are often seen in amber usually add to amber's unique look and in many cases greatly increase its value. 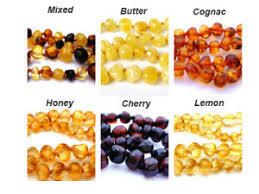 Amber is often imitated by plastics, colored glasses and some modern tree resins. However, its hardness is usually greater and it is tougher than other resins. Its low specific gravity (amber can float on salt water) and inclusions can distinguish it from plastics and glasses. Amber will open and heal the Solar Plexus Chakra. It encourages the balancing and healing of the digestive system, the adrenals, the stomach, the liver and the gallbladder. ​It assists the body in assimilation of nutrients. It is also tied to the functions of the left hemisphere of the brain. Many crippling diseases, ulcers, intestinal problems and psychosomatic diseases are eased by working with Amber and the solar plexus chakra. Ancient physicians prescribed amber for headaches, heart problems and arthritis. Amber is a powerful healer and cleanser that draws disease from the body and promotes tissue revitalisation and it imbues the body with vitality. By absorbing pain and negative energy, Amber allows the body to rebalance and heal itself. ​It resonates with the throat, treating goitres and other throat problems. It treats the stomach, spleen, kidneys, bladder, liver, and gallbladder, alleviates joint problems, and strengthens the mucus membranes. Use crystal water for wound healing as it is an excellent natural antibiotic. Ambers warm, bright energies translate into a sunny, spontaneous disposition that nevertheless respects tradition. It brings balance and patience and encourages decision making and is a useful memory aid. 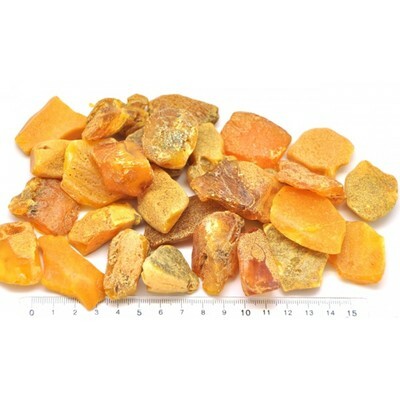 ​Amber protects the emotional body and protects you from psychic attacks and psychic vampires. ​Amber when worn offers you a sense of safety, security and peace. ​Amber brings stability to life but it also motivates you by linking what is wished for to the drive to achieve it. Amber stimulates the intellect and promotes a positive mental state and creative self expression. 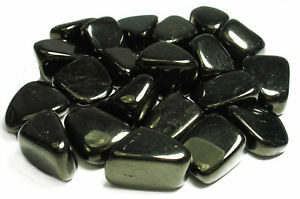 This crystal aids compassion and heals burnout, ​It promotes a sense of peaceful acceptance and self acceptance. ​Amber used to be carried by travellers for protection, it is also the symbol for courage. Amber with meditation, provides you with healing all the auras. It refills, protects and repairs aura tears from too rapid emotional or karmic release. Amber shields you against taking on other peoples pain in healing work. ​It promotes moving forward on your life path and removes the mental blocks that are there.